I found Rhythm to be an interesting theme to research, initially I had dyed Dupion silk to make my first quilt and had visions of using gold foil, my practice on a single piece of fabric turned out so I was set to go. But I made a horrifying mistake, you should not apply the glue for the foil on a already made up quilt as the batting soaks up the glue, anyway I had a disaster on my hands. So I had to start again, this time I remembered a digital design I had created last year, so I utilized this simple design as time was running out. The silk is hand dyed with Landscape acid dyes from Kraftcolour and the blocks are fused and raw edged appliqué to the yellow background. 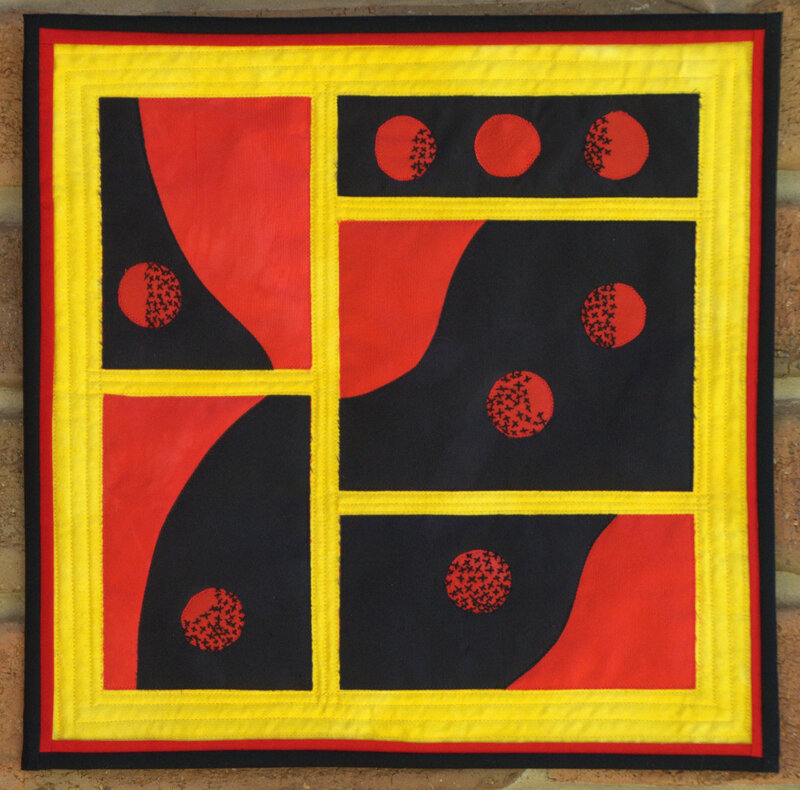 I hand embroidered into the circles with black floss to represent the phases of the moon….a very loose interpretation. I like the idea of the Rhythm of the moon and the bright colors you use. This quilt could be selected for Contrast !